4 Bdrm Detached Dwellhouse in approx 3 acres. Ground flr: V/bule. Hall. 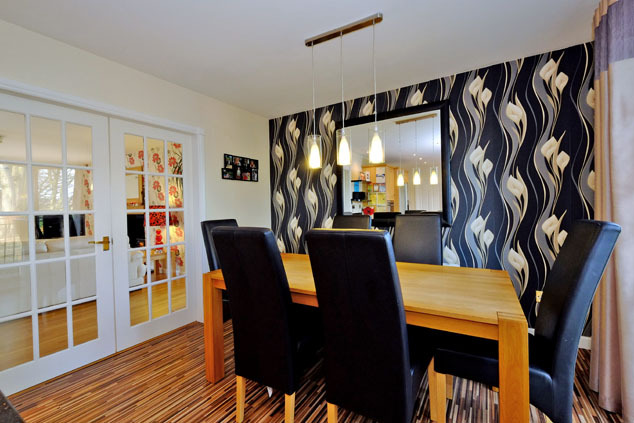 Kitch/Dining area. Lounge. Sun lounge. Utility rm. Bathrm. 3 Bdrms. 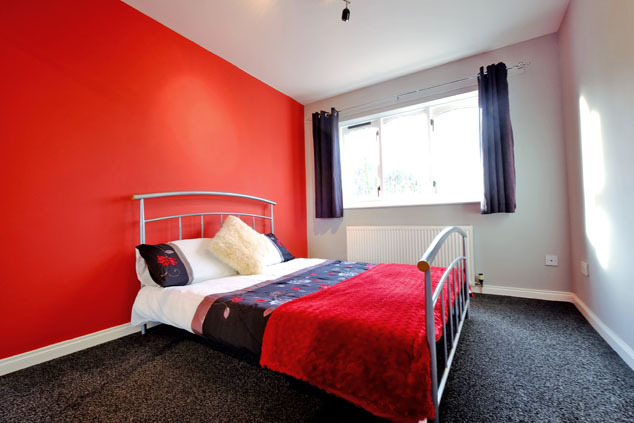 1st flr: Bdrm with ensuite. Stable block. 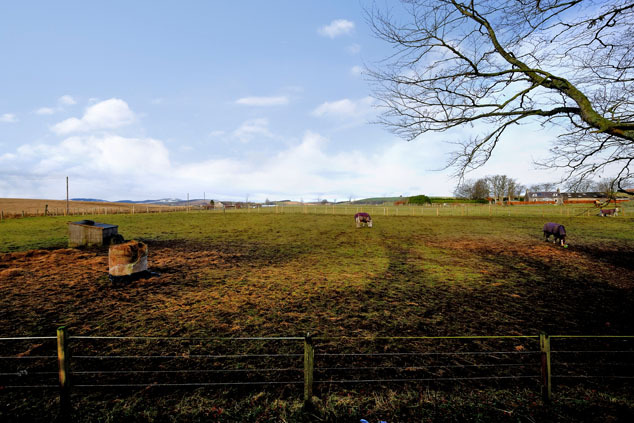 2 Paddocks (CT band - G). Garden. Double Garage. Parking. 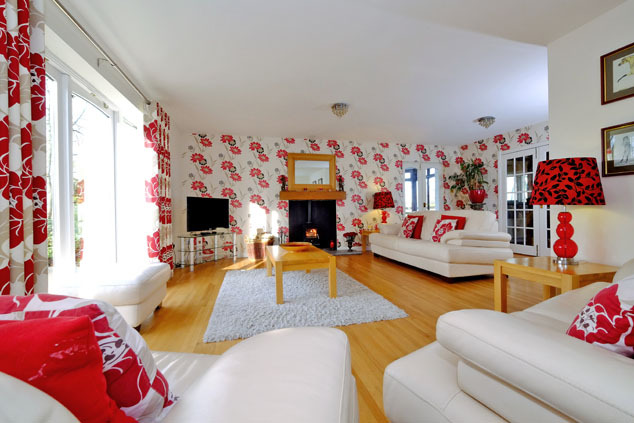 Price around £390,000 Entry by arr. Viewing 07999 514648 or 07703 186078 or contact solicitors. Below Home Report Valuation (EPC band - E). 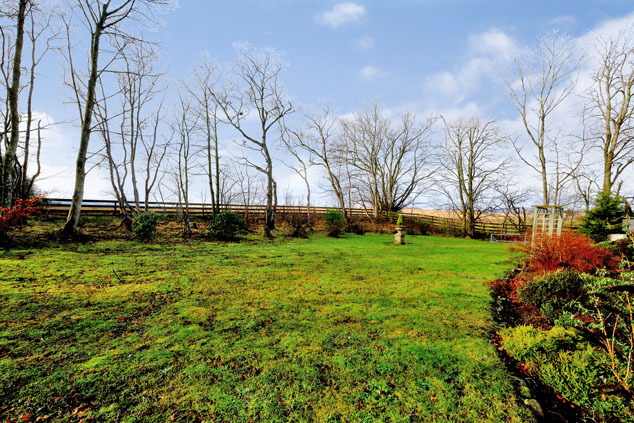 Enjoying a secluded south westerly facing location, this stylish four bedroomed detached dwelling with detached double garage, stable block and paddocks is set within 3 acres with private well water and septic tank. 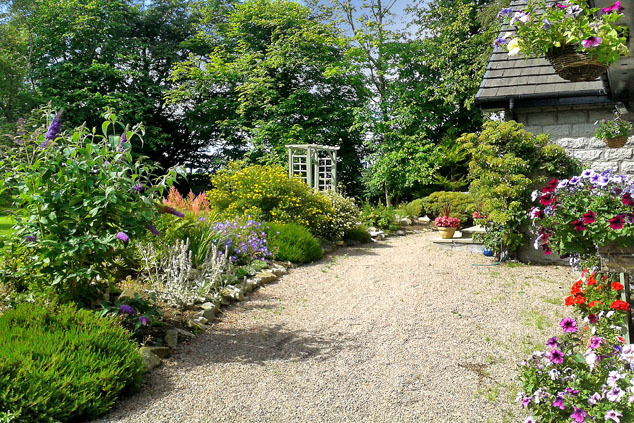 This lovely property is surrounded by mature colourful gardens including patios and an elevated barbecue area. 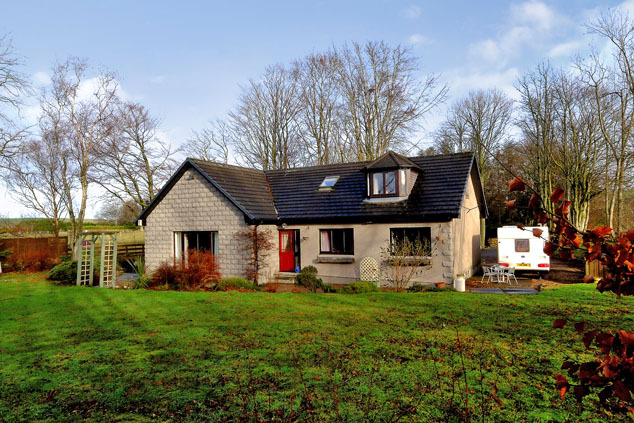 The spacious accommodation, with attractive décor throughout, includes the light entrance vestibule, hallway with solid wood flooring and luxury fully fitted German kitchen and dining on open plan with French doors to the garden. The utility room is off. 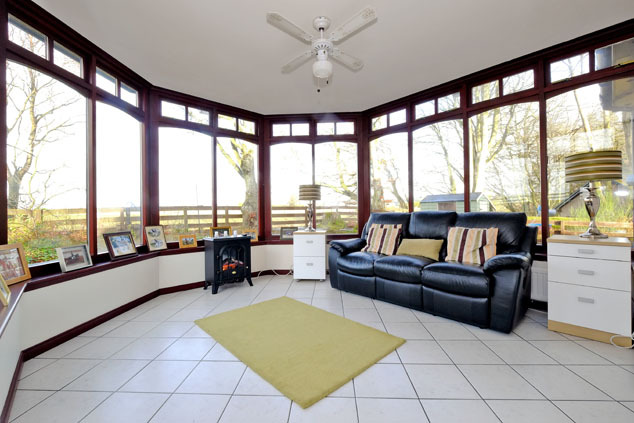 The lovely south westerly facing lounge includes vibrant décor, French doors and multi fuel stove set within a recessed hearth. 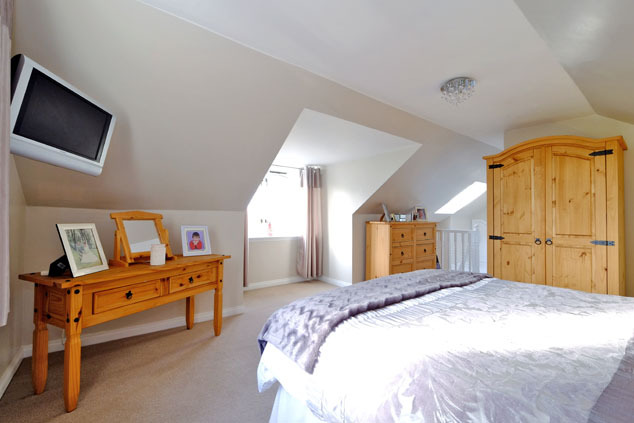 There are three double bedrooms with built-in wardrobes and the stunning bathroom with claw foot roll top bath and separate shower. 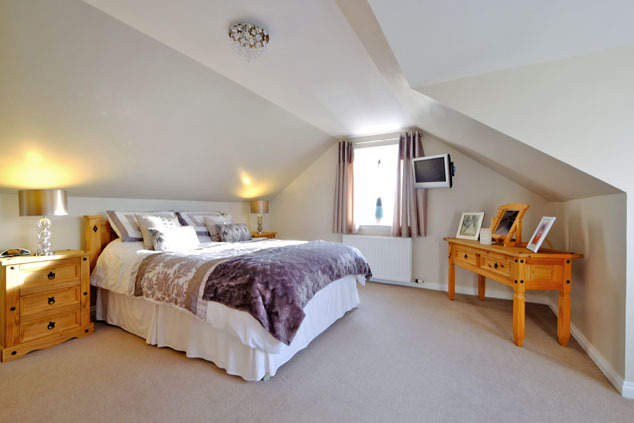 The master bedroom is on the first floor with two windows looking to views and has a stylish en suite off. 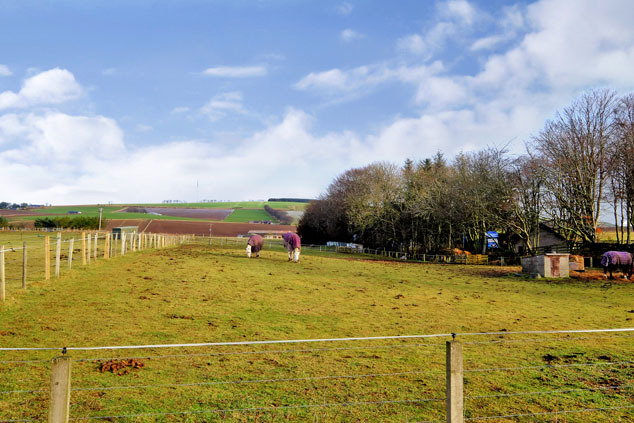 Outside, there is a large yard with plentiful parking and includes a detached double garage which has a gate adjacent to the paddocks which have new electric fencing. 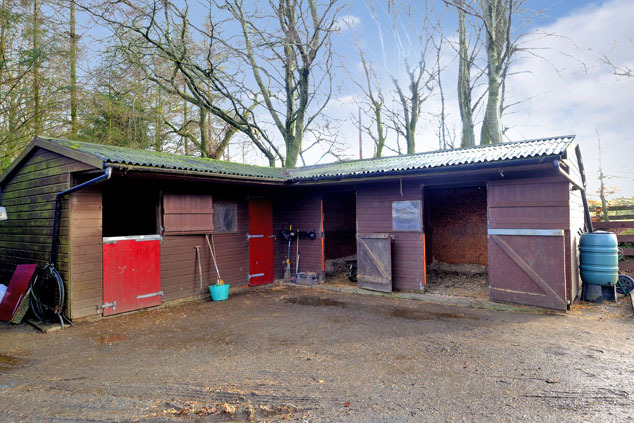 The stables are at the top of the yard with an additional rear access gate from the road. Viewing highly recommended to appreciate this rare find. Vestibule 7’11” [2.42m] approx. at widest The half glazed entrance door with side glazed panel leads into the vestibule which has solid wood flooring which is carried through to the hallway via double Georgian style doors. 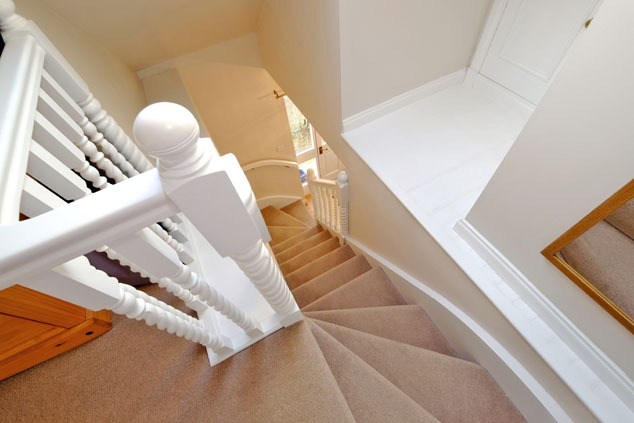 Carpeted staircase to first floor master bedroom. Hallway 22’4” x 8’7” [6.80m x 2.64m] approx. 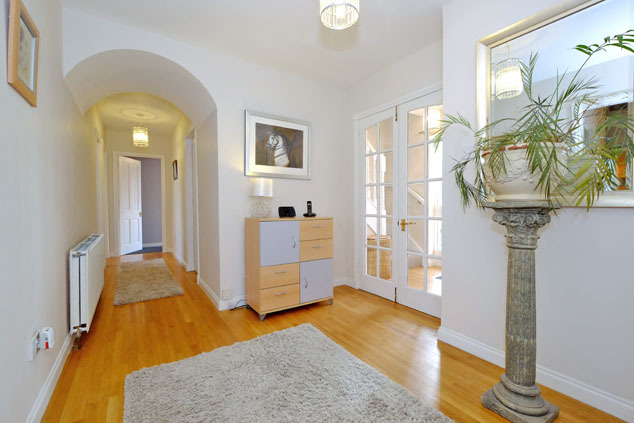 at longest and widest The lengthy hallway includes two large double storage cupboards with bi-fold doors containing shelving, coat hooks and the fuse box. 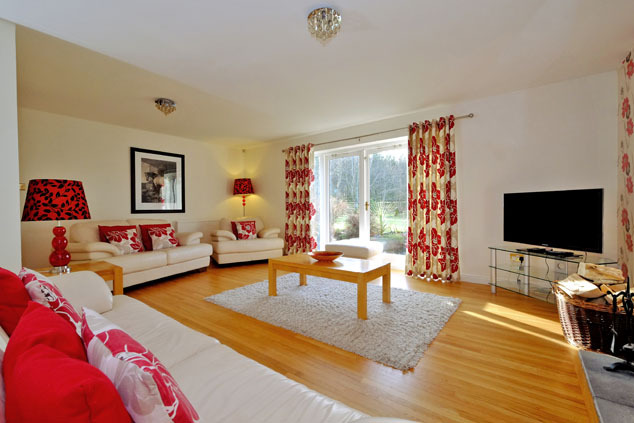 Access to three bedrooms, bathroom and kitchen and dining on open plan. Kitchen/Dining 20’5” x 10’10” [6.24m x 3.30m] approx. The fully fitted light solid wood German luxury kitchen includes polished granite work surfaces and cabinets at high level with a display unit and also at low level to include the Siemens double oven five ring dual fuel cooking range with stainless steel splashback and hood above, the integral dishwasher and American style fridge/freezer. The dining area, with vibrant decorative wall, has French doors to the rear patio and gardens and will include the stylish pendant light fittings above the area which easily accommodates a large table and chairs. French doors to lounge. Chrome switches. Attractive wood effect vinyl flooring. Access to utility room. Lounge 21’1” x 20’1” [6.52m x 6.13m] approx. This light, bright and extremely spacious L-shaped south westerly facing lounge overlooks the gardens through French doors with tall glazed side panels. 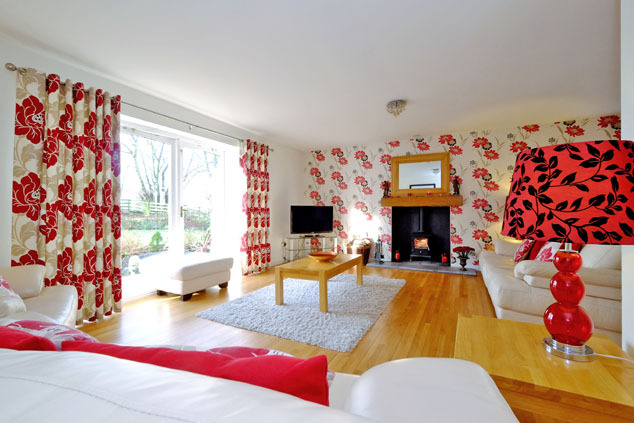 The vibrant stylish décor and solid wood flooring enhances this lovely room which includes a recessed multi fuel Firefox stove with solid oak lintel above and Caithness flagstone hearth. Glazed doors to the sun lounge. TV point. Three ornate light fittings. Sun Lounge 13’8” x 11’8” [4.18m x 3.55m] approx. 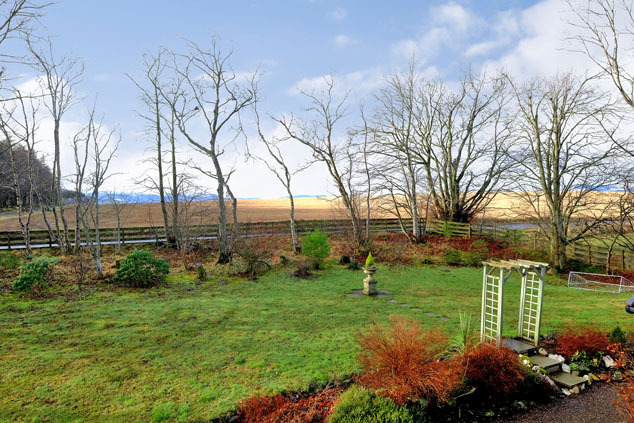 Commanding stunning open panoramic views, this south westerly facing sun lounge has deep silled windows on three sides and enjoys sun for most of the day in the summer months. French doors lead to the garden patio and elevated barbecue area. Attractive floor tiling with vibrant decorative wall. Utility Room 9’5” x 5’6” [2.88m x 1.68m] approx. 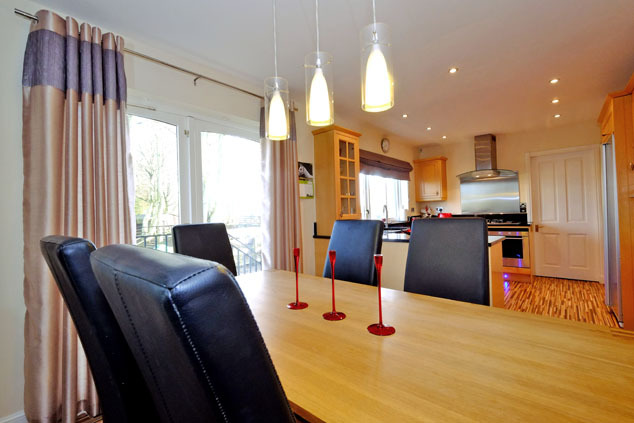 Located off the kitchen and with a half glazed door and window to the parking area and yard, this handy space includes a long work surface, solid wood units as the kitchen and is plumbed for a washing machine as well as space for a tumble dryer. Coat hooks. Bathroom 8’6” x 8’4” [2.61m x 2.55m] approx. 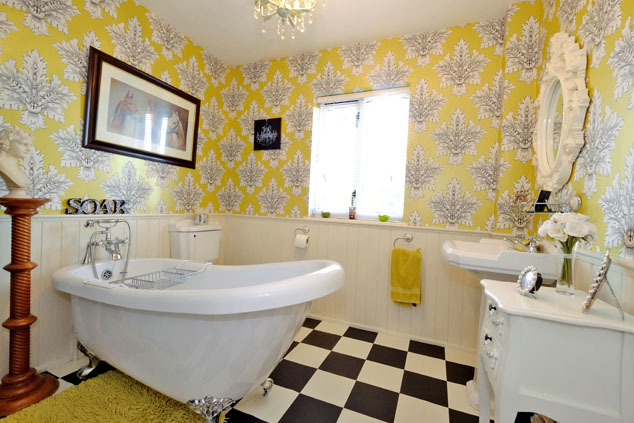 Elegant and stylish bathroom with painted linings all round to dado height and striking décor with contrasting black and white flooring. The magnificent claw foot bath, with antique shower/fitments, takes centre stage with the w.c. and steam jet luxury shower adjacent. There is a wash hand basin at right angles to the window which looks out to the yard. Chrome ladder heated towel rail. Ornate candelabra. Bedroom 2 14’3” > 10’5” x 9’3” [4.36m > 3.10m x 2.83m] approx. 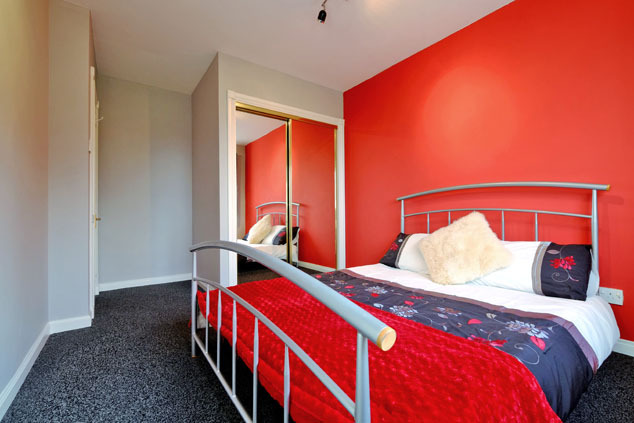 With feature painted wall and contrasting carpeting, this spacious double bedroom is south facing with open views and includes a double built-in sliding mirrored door wardrobe. TV point. Bedroom 3 11’11” x 9’0” [3.64m x 2.74m] approx. 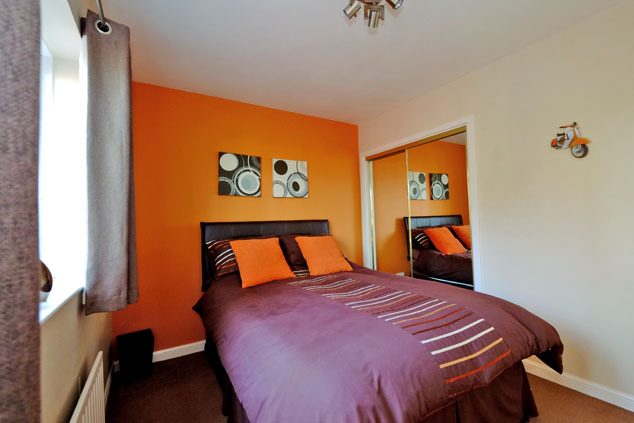 Overlooking the yard, this attractively co-ordinated double bedroom also includes a double built-in sliding mirrored door wardrobe. Bedroom 4 10’4” x 8’10” [3.17m x 2.71m] approx. 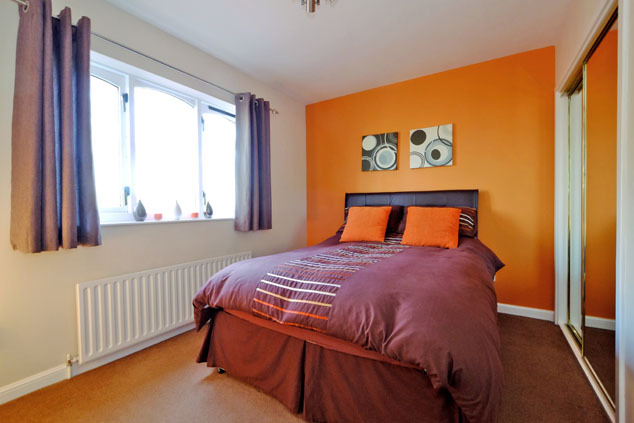 This attractive double bedroom is south westerly facing with the same aspect as bedroom three and has a built-in wardrobe. Master Bedroom The light and bright staircase to the first floor is filled with natural light from a high velux in the ceiling and leads to the tastefully presented master bedroom which has a wide bay window to the front and easterly window filling this lovely room with natural light. Fitments for a wall mounted TV. Ornate light fitting. Small door to extensive loft space. En Suite 9’11” x 9’8” [3.04m x 2.96m] approx. 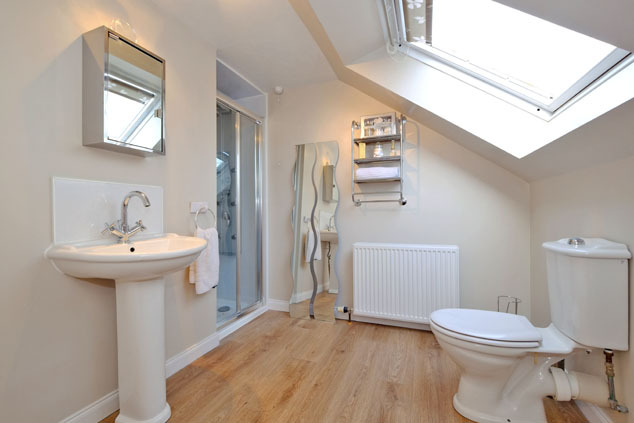 Bright en suite with high velux in the combed ceiling with the w.c. below and wash hand basin opposite which has a cabinet above. The shower cubicle with wet wall includes a steam jet shower with light above. 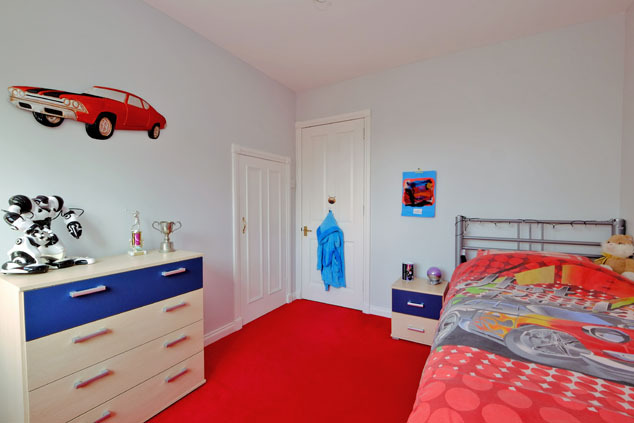 Wall mounted mirrors and shelving. 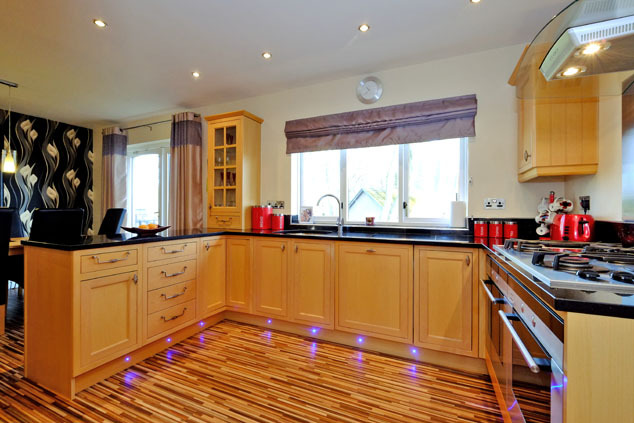 Wood effect laminate flooring. Gardens Extensive mature gardens surround this lovely property with mature planting and several well placed sun patios and the elevated barbecue area with fire which is ideal for summer entertaining. 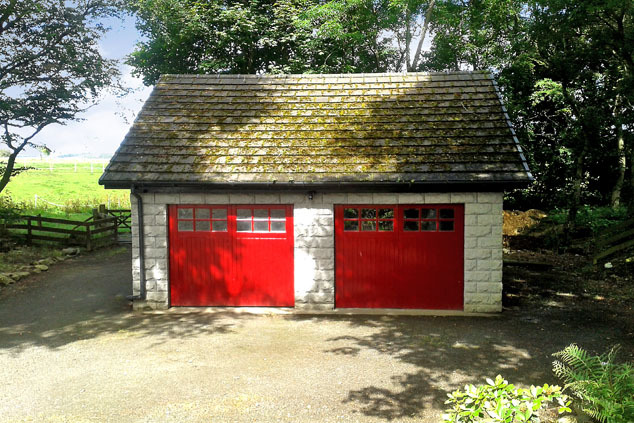 Detached Double Garage 20’7” x 20’3” [6.31m x 6.19m] approx. Plentiful parking is provided in the yard and leads to the detached double garage which has a large floored loft space, two up and over doors and an external water tap to the rear. Stable Block There are two 12’ x 12’ loose boxes, a small stable and hay store/tack room in the block. 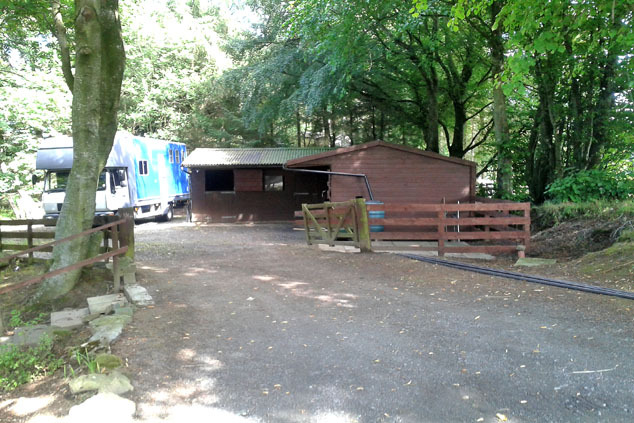 Space for lorries and trailers is provided with an additional gate to the rear of the block leading to the road. Paddocks There are two paddocks across the burn accessed from the yard and have recently replaced electric fencing. 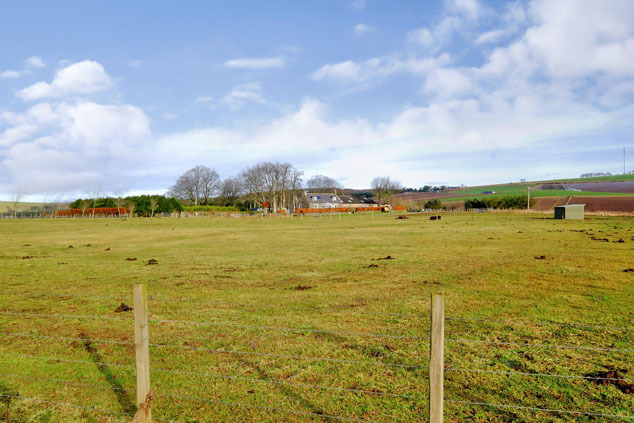 Adjoining additional land (2.5 acres approx.) is available to rent. Directions Follow the B9005 to Rothienorman taking a right at the Drum crossroads for Oldmeldrum. Take a left for Cross of Jackston and the house is immediately on the left accessed through the double gates. Notes Oil fired central heating. Double glazing with two single glazed entrance doors. Private well water. Septic tank. EPC=E. 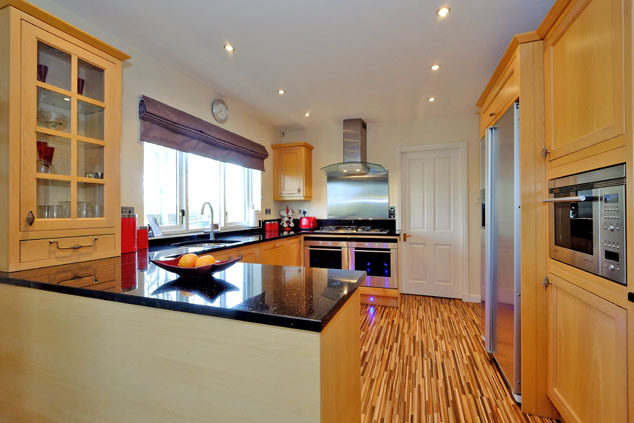 All carpets, curtains, blinds, light fittings, the Siemens five ring double oven cooking range, integral dishwasher and American style fridge/freezer are included. The garden shed is also included.